David Bradford is referred to as “The Human Internet.” A pioneer in his own right to networking. David keynotes large scale conferences, summits, corporate events, to small fireside chats doing Q&A’s. Contact David for booking inquiries using the form on this page. 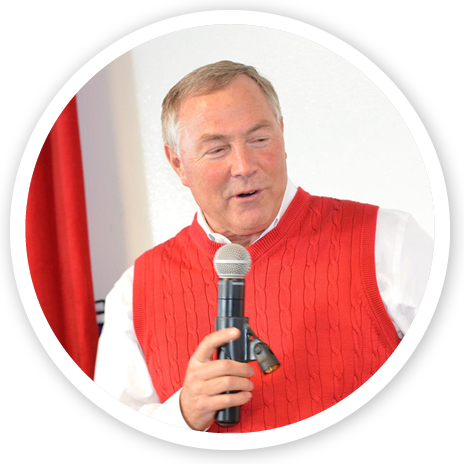 David Bradford is a personable speaker, with an extensive business portfolio of topics that cover tips to networking at work, evolution of technology, business leadership, business culture and more. The topics below are just a small example of what David can bring to your audience. Each topic can be tailored to your business and event needs. David’s ability to bring a room of people together and connect them to one another, will astonish you. His beaming smile, personality, and years of business expertise will leave you and your audience feeling inspired for a greater future, and asking how to create a bigger network for your business. Antitrust enforcement in the day of Computer Software – Who can enforce what? Is it too late? To book David Bradford for your next event, please use the form below. "If I were asked to choose a role model for the business world, I would choose Mr. Bradford without thinking twice. Knowledgeable, experienced and fair, David knows the fine line between business sense and personal gain." "David is a master connector. He is the most incredible networking executive I have ever met. From Presidential Nominees to Fortune 100 executives to hourly employees, he grows genuine business relationships with everyone." "David is a rare find in this world. Few will surpass his personal and business accomplishments. It has been a great honor to know David. He is such a kind person and one of the top five movers and shakers for technology for Utah." "When David walks into the room, the room brightens. He has a way of making everyone at all levels feel part of the team and important and motivating each one of us. He impacts many lives positively and truly a role model for many of us!" David is a proven business leader with over 30 years of experience in the computer industry. Connecting with David may lead to unexpected success. Consider yourself warned.